BioZyme, manufacturer of Amaferm®, Sure Champ®, VitaFerm® and other proprietary, natural feed supplements for cattle, commercial poultry and swine, and show livestock, broke ground last month on a $1.2 million warehouse and dock addition to its main supplement production facility in St. Joseph, MO. 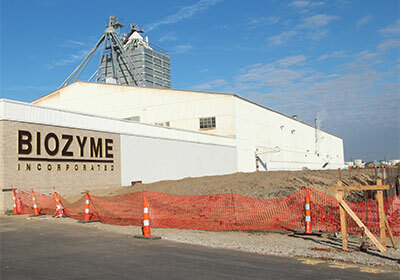 Increased demand for BioZyme’s natural feed supplements domestically and internationally prompted the facility expansion. BioZyme’s products are formulated to promote animal health, digestion, production and reproduction. In addition to the warehouse expansion, BioZyme has expanded the facility’s office space to accommodate its growing staff. In the past 18 months, BioZyme has hired 25 people, in addition to initiating a double shift in March. In September, BioZyme announced the addition of the commercial LiquiFerm® brand to its Supplement Division.